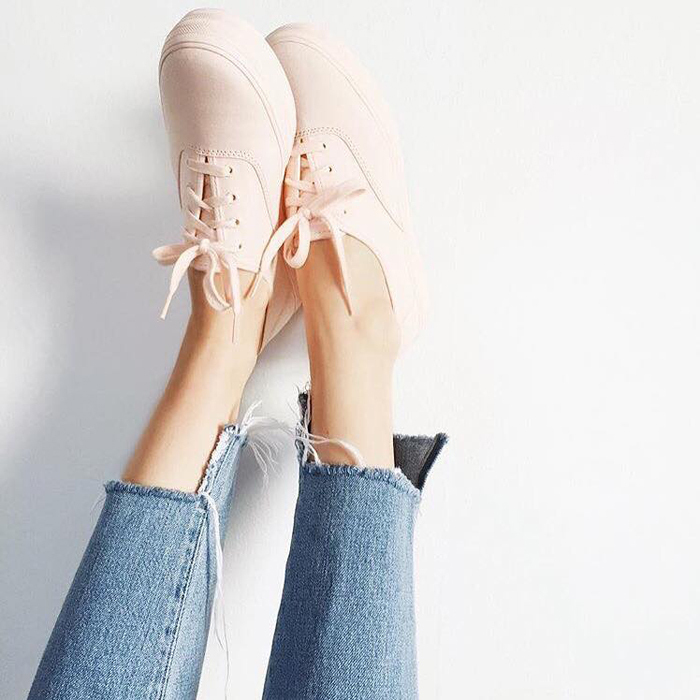 KEDS' new collection perfectly combined soft muted hues in your favorite silhouettes-- dream blues, pale peach, and greys. These monochromatic sneakers are made to complete your minimalist style or complement a bold pattern for a signature look that pops. Here's how I styled mine! Nice shoe, the dresses are nice.